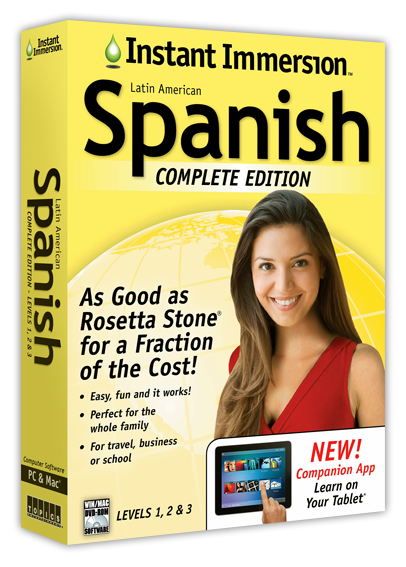 < Home / Learn Spanish "As good as Rosetta Stone® for a fraction of the cost!" Understand the basics of the Spanish language and develop speaking skills you need to become confident and conversational in social interactions with up to 3 levels of our interactive software and audio. Start Immediately – Download or access your course materials immediately after purchase. Reach your language-learning goals by immersing yourself in vocabulary, everyday phrases and advanced conversations that will refine your language skills and help you retain what you learned. Learn the essentials of Spanish with vocabulary, everyday phrases and rewarding games to help you retain what you learned.